Land In Alabama & Land In Georgia | LandinAlabama.com: Coming Soon! 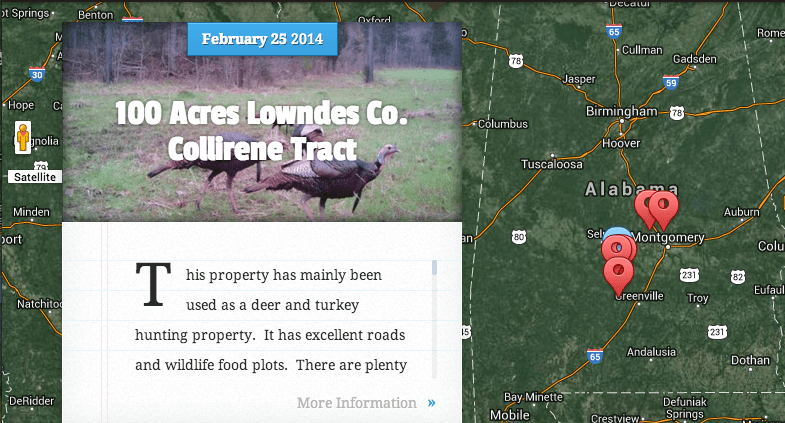 The Southern Land Brokers have a new landing page in the works called “Land in Alabama.” Right now, you’ll just see a “Coming Soon” page, but soon it’ll have tons of different rural land listings with on an interactive Google map. It’ll have exclusive content and some awesome blogs. We’re really excited about the site. Keep an eye out! Check out the screen shot below for a little taste, y’all.